Cards: Action Packed 1991, Action Packed 1992, Pro Set 1990. 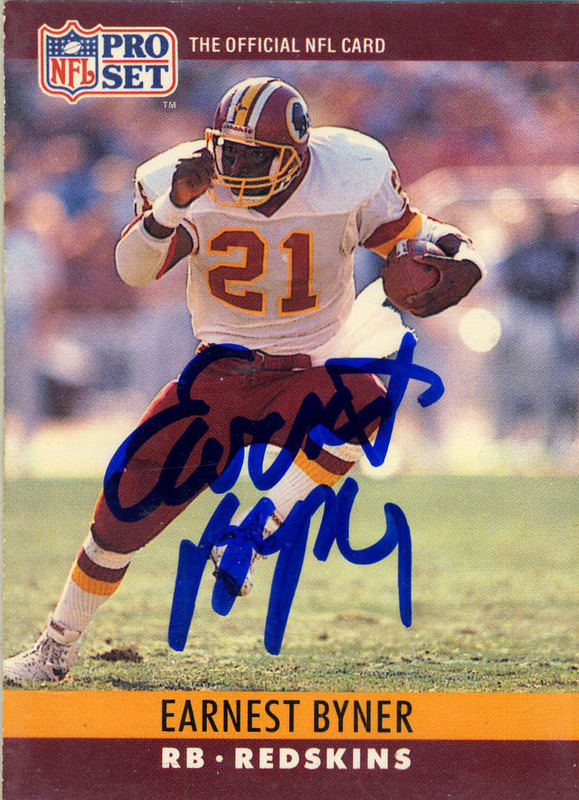 Earnest Byner is best known for being the scapegoat from the 1987 Denver/ Cleveland playoff game entitled ‘the fumble’ when Byner played for the Browns. It is a shame because he actually was a very good player outside of this incident. 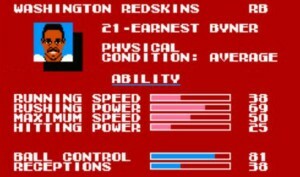 Byner was stolen in the 10th round of the 1984 draft by the Cleveland Browns after graduating from East Carolina. A well rounded player he could play fullback or halfback, because he was a great blocker, receiver, and tenacious runner. He worked his way into the lineup and by 1985 had a breakthrough season with over 1,000 yards rushing and 400 yards receiving. After a subpar 1988, Byner was traded for Mike Oliphant to the Washington Redskins, where the second phase of his career would begin. 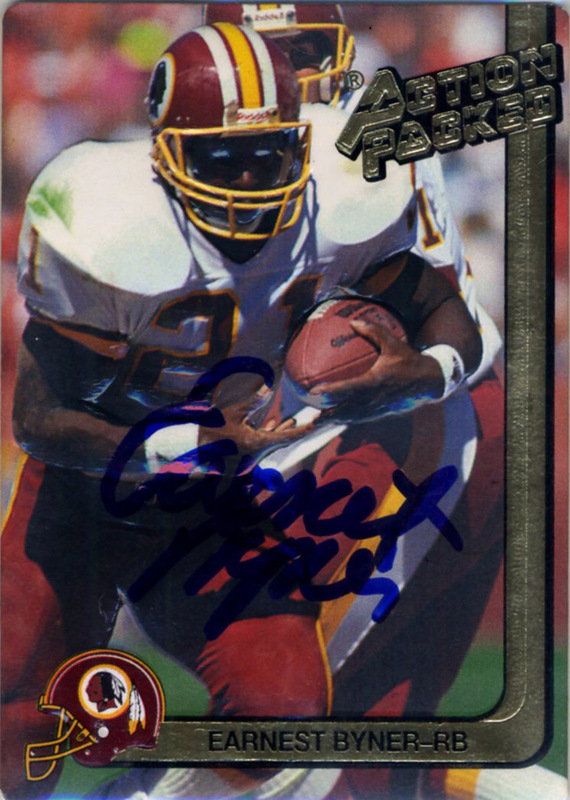 This would also turn into one of the most lopsided trades (Herschel Walker trade aside) in the history of the league as Byner would lead the Redskins to the Superbowl in 1992. 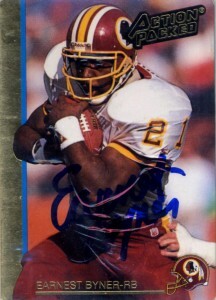 After his playing days with the Redskins were over, Byner returned to the Browns (1994-1995), before the franchise up and left for Baltimore where he finished his playing career in 1997. After retiring Byner comfortably moved right into the coaching ranks and has seen stints with the Ravens, Redskins, Titans, and as of 2010 is with the Jaguars. He was also named as one of the 70 Greatest Redskins and was the first player inducted into the Ravens Ring of Honor in 2001. Earnest showed up at the CGA Youth Golf Tournament and made us chase his golf cart. He signed on the move surprisingly well and was paired up with Steve McMichael during the tourney.